Plural noun. Literally, "Oil balls." 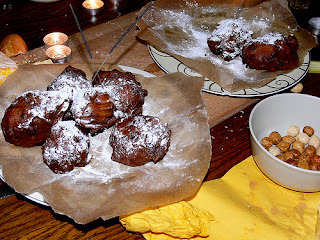 Oliebollen are deep-fried dough balls. They are traditionally dusted with powdered sugar and eaten on New Year's Eve, then vomited early on New Year's Day.